This pattern makes a nice, thick, textured dishcloth or washcloth that is perfect for gift giving. Row 1: Tr in 3rd ch from hook. Sc in next ch. *Tr in next ch, Sc* repeat to end of row, ending with a Sc. Ch 1. turn. Row 2: Sc 28 times to the end of the row.Ch 1. turn. Repeat rows 1 and 2, 12 more times. Edging: At the end of the last "row2", ch1 but do not turn. Sc in same hole and turn work 90 degrees. *Sc 27 times evenly spaced along the left side to the corner. Ch1, Sc in same hole and turn work 90 degrees. * Repeat across bottom and right sides of the cloth. Slip stitch to the top of Sc, and tie off. these look awesome I can't wait to get one made. Great gift ideas! I'm making my first one and can't wait to share them!! Thanks for the pattern. I just ran across these on Ravelry as well. They are too cute and I can't wait to get some made up. Just lovely. These are adorable! I am making little Spa sets for Christmas and this is the perfect pattern. Thank you so much for sharing. Love this pattern...found it on Ravelry and I couldn't wait to make it! Quick question...Am i supposed to Ch 1 and turn at the end of row 2 as well or just on row 1? Yes you should ch 1 and turn at the end of Row 2 also. I just made that correction to the pattern, thanks for finding that mistake! I really like the texture of these, can't wait to try them. Thanks! nice cloths. Thank you for sharing. I would like to felt some of these in wool as I love the texture. I really, really like it!!!! May I link this post in my blog? Sure you can link this to your blog! That would be great. I am glad you like it. Share it will all your friends. I'll do it right now!!! Great pattern, but the font on this site could be much easier to read. On the right hand side of my blog is a link called "Printable Nubbie Scrubbies Pattern" if you click on that, there will be a page with the same pattern, only with an easier to read font... hope this is helpful! Thank you so much for sharing this wonderful pattern. I have made several for gifts, the recipients all said they were almost too pretty to use. My only regret is that I haven't made myself any yet. I was wondering what your policy is on people selling items made from your pattern? I'm going to have a booth at a craft fair and I love this pattern, but I wanted to ask before I used it. Thanks so much! I can never get the first row to end on a sc. When I force it to end on a sc I have one chain left. Do you know what I am doing wrong? I'm so frustrated! I'm not sure what it is, but I think it will be ok to leave that last chain and just weave it into the border at the end. Another thought is that you could try the first treble in the 3rd chain instead of the second. Good luck. I am making these for Christmas and I just love them! I'm making 2 different sizes, the pattern as is for the bath (I'll be making sugar scrubs to give with them) and a smaller one (just chaining 20 and adding on the last round corner a loop for hanging) for the kitchen (I will make lemon sugar scrub to give with those). Thanks for the pattern!! Super cool pattern... thanks so much for sharing! You've been pinned on Pinterest! I added a few helpful hints to the pattern. You may want to print a new copy if you use this pattern regularly. Thanks for all your good feedback! Thanks for pattern. But, my nubbs are smaller than yours? Is it because of the yarn or what? What happens to the nubbs when you wash it: will those go bigger or smaller. I feel like making the next rows makes nubbs go down... Any hints? It could be because of the yarn, or the tension you use. Everyone has their own tension, even with the same yarn and hook size. Experiment with different sizes of hooks for your own tension. Usually, if you use 100%cotton yarn, the cloth will tighten up after you wash it, and the nubbies will be more prominant. I do believe the 'treble' should be a 'triple' in US terms. I tried it both ways and with wrapping yarn over the hook twice - thus the triple stitch - gives it a nice large nub. In US crochet terms, treble crochet and triple crochet are the same. In UK terms, treble crochet is the same as double crochet in US terms. I just had to leave you a little message of thanks for this pattern! I love it! My kids and I are in LOVE with the texture that it creates! Thanks SO much for sharing your talent with the world! You could try to knit something that might be similar. The pattern is specifically done in crochet but the general idea could be replicated in knit I'm sure. Thanks so much for the thanks! I am glad you love it! I'm so excited to make these!! I am a beginner learning on my own. I started the pattern and got finished with Row 1. I guess I either did it wrong or don't know which side to put the 28 sc stitches. The treble crochet has many more single crochet than 28. I would love to see what the cloth should look like at the finish of row 1. Sorry to bother you, but I absolutely love your pattern and want to do it correctly! I am a beginner and am having trouble with the start of Row 2. When I single crochet where I think I should be crocheting the 28 there is many more spaces left to crochet. Could you show a picture of step 1 going on to step 2? I would appreciate it so much as I love your pattern and hope to do it justice. Thank you. Sorry I will not be able to help you for a while with pictures. Make sure you only have 14 "nubs" on the first row, ending with a SC, then weave in any extra chain stitches at the end. Sometimes people end up with too many chain stitches,it depends on how you count your chain stitches. If this is happening to you, you could try chaining 28 instead of 30. I have made a bunch of these - great pattern and so easy to follow. Thank you so much! I've linked it to my blog, http://kelliinthemiddle.blogspot.com/. Do you know approx. how much shrinkage happens after it gets washed? I don't want the dishcloths to be too small so I may need to add a couple extra stitches. Ummmm, just a bit for me, but it totally depends on your tension and your yarn choice. Yes, try it and add a few more stitches if you like it bigger! All yarn will stretch a certain amount from crocheting it. Washing it will pull it back in shape which will make your projects appear to "shrink". I have had luck washing balls/skeins of yarn before using them. It softens some of them and helps to do whatever shrinking that is to be. I put them in a mesh laundry bag so they don't tangle with other laundry and usually one skein per bag. Gentle cycle also helps. BUT, I never do this with wool, I wash it if needed after project is complete. I hope this helps. When I start row 2 (the single crochet's) do i insert my hook in the second chain from the hook as you do with the first? So precious! Would you object to me selling these in my etsy store with a link back to your blog? I don't mind if you would like to sell the cloths you make from the pattern, just not the pattern. Yes, a link to my blog would be the perfect solution! I've just finished this pattern, love it. It's too nice for a dishcloth though I'll probably use them as washcloths at least the first one they are very cute! Thanks for sharing your pattern. It's very simple & easy. Thanks Again! These look so pretty and yet functional! I am going to try one soon :D Thanks so much for sharing! Angelee Marie, thank you sooooo much for this pattern and sharing your talent. I have now made 7 sets as Mother's Day gifts for my "girls" on our scrapbooking weekend retreat. I made them with Sugar' n Creams (Hot orange, Hot pink, Hot blue and Hot green) - they turned out perfect! Your instructions were awesome! I love this pattern and have made several washcloths from cotton. I would love to make this into a full size throw or afghan using WW yarn. Can you please email me the multiple for your pattern? Love this pattern. Can you please tell me what the multiple is for it? I changed the font. Hopefully this helps. I know I'm new to reading patterns but I just can't make sense of this and I'm hoping you can help. If I chain 30 and start row 1 in the 2nd stitch (stitch 29) with a tr, that's an odd number of stitches and I end on a tr and not a sc. I don't count the working loop as one of the 30 and maybe you do? Am I counting my stitches wrong? Please help me understand because I really like this pattern and am just not sure what I'm doing wrong. When I am counting my chain stitches, I count the bumps on the back ridge of the chain. I don't really know how to explain this but I crochet into those instead of one of the edges of the front. That gives a nice finished edge to the bottom of the piece and makes a nice place to crochet into when you finish it off by single crocheting around the entire piece. If you end up with extra chains left over, just leave it and weave it in at the end with the tail. Just make sure you have 14 "nubs" on the first row and then end with a single crochet. If that is happening every time, then try it with only 29 chains at the beginning or try doing your first treble into the 3rd chain at the beginning of row 1. The repeating pattern is *Tr in next ch, Sc *. Is that in the same stitch or TR in one st and Sc in the next stitch? It is TR in one st and Sc in the next stitch. can't wait to try this pattern thanks for sharing... very nice.. 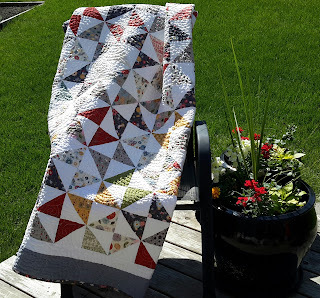 I love this patten and used it to make many for Xmas gifts. I just linked your blog page to a FB crochet site and it is blowing up with people. Thanks again! Love this pattern and have made many. I just shared your blog page for it on FB and it is busy! Thanks! I've noticed that after a little while they get almost matted and a little stiff. I soak them in a bleach pre-wash and that softens them, but once they get to that matted stage they rarely seem to come out of it. I use them as rags then... and get two new ones to brighten my kitchen! Thanks for this great pattern! You are welcome! You could also try washing them with 1/2 cup of baking soda in the washing machine, to help soften them if they are not too worn out. I do the same (use them as rags and make new ones) when they get to the stage where they are matted or stained too much. Nice new Nubbie Scrubbies are one of my favorite luxuries! I'm not sure how to do it, but I will look into it! I have a an app called " pocket" on my iphone. I save all my patterns there. Love this pattern. Very easy to follow. If I want to make a bigger wash cloth, is there a certain multiple I should use for the starting chain? Sure, the multiple is 2. I am having difficulty . When you begin each 1st row pattern; triple in the 3rd chain from each start, you end up with the wrong amount of stitches on each row. How do I reconcile the loss of stitches in each row? You could try doing your first triple in the 2nd chain from the start and see if that works out. Just make sure there are 14 "nubs" in each row and end with a single. This is a great pattern for beginners like me, thank you! Thanks Michelle! Hope you have many more years of enjoyment with crochet to come! help I have holes instead of nubbies!! I don't know how that happened. Were you able to figure it out? I'm having trouble getting all of the nubs to stick out. I'm trying to follow your pattern exactly. Do you know what I could be doing wrong? Maybe try tightening your tension by using a smaller hook size? You are welcome. Glad you love it! Thanks for all the positive comments! Nubbie Scrubbies are still my favorite! All these years I have been using them and gifting them and everyone seems to really like them. I just made myself a new set for my kitchen and still love them! Nothing like the simple luxury of a new dishcloth to make cleaning up the dishes less of a chore!